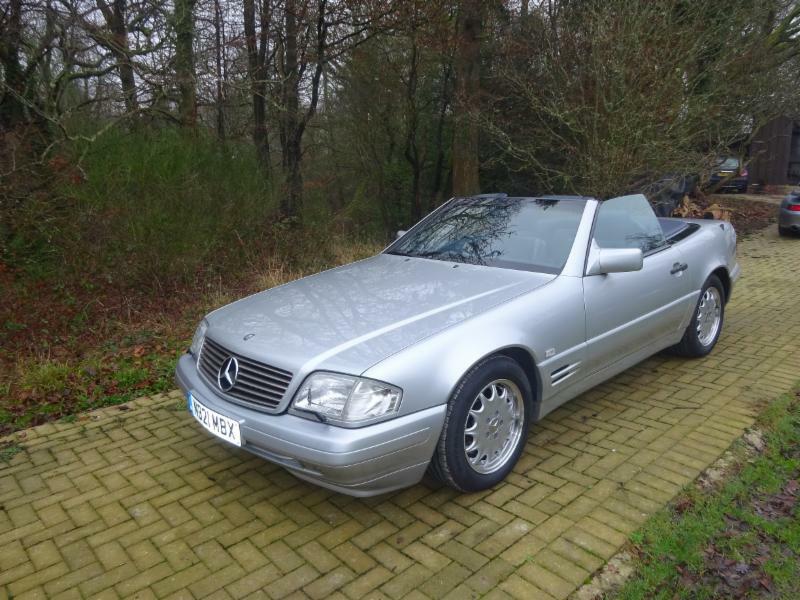 Mercedes SL500 - Just 25,305 miles from new. Whether you are buying or selling a classic or sports car, we can help you. 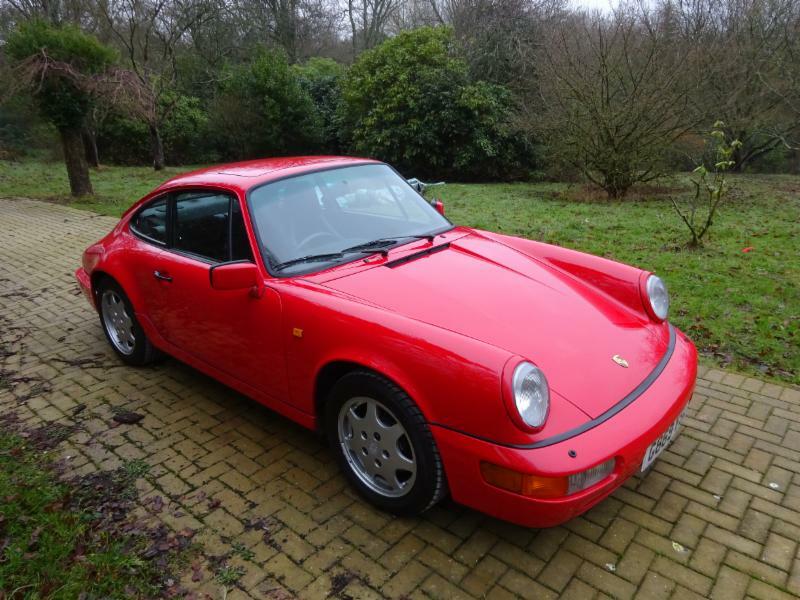 We are always seeking classic and sports cars to sell, particularly Porsche 911s. If you have a car to sell then please contact us. These classic cars have just arrived. Call us now to book an appointment to view. This is a unique opportunity to buy a Porsche with a difference. 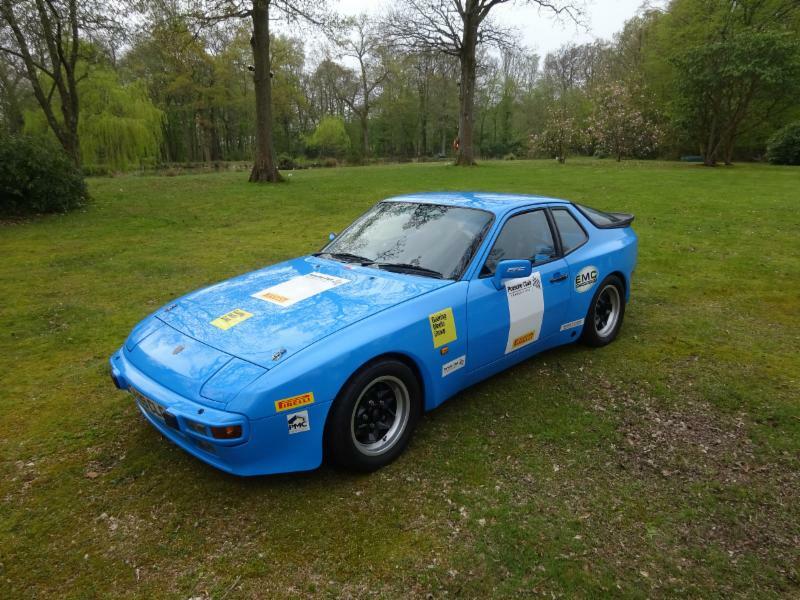 This car has been treated to a complete conversion to Porsche Championship standard racing spec. The car is also fresh from a new MOT and is perfectly suitable for road use should you wish giving you potentially the best of both worlds. The conversion was undertaken by EMC Engines in Birmingham who carried out extensive work stripping the car completely for a full repaint of the interior and exterior, fitting an FIA roll cage, seats and harness, racing suspension, fuel tank, fuel lines and pump. The car also has carbon fibre doors and a fire extinguisher system. In addition JMG Porsche were instructed to fit a front and rear quick shift kit with improved gear linkage. 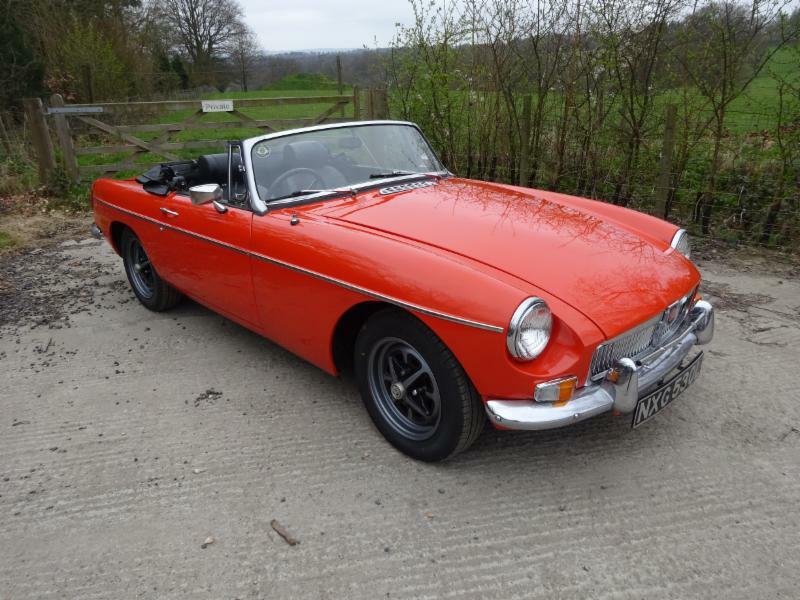 This 1973 MGB Roadster presents very well indeed with good paint that looks very fresh and of particular importance, excellent door gaps which sit flush with the wings as you will see from our photographs. The interior has been treated to a new set of carpets and the hood appears to be relatively new. The car was subjected to some restoration work in 2004 which includes renewed suspension and two new carburettors. Invoices are on file for this work.The underside of the car is in good overall order. The car starts on the button and runs well and cleanly. We will place a fresh MOT on the car at the time of purchase. The history file contains miscellaneous invoices and some old MOT certificates. With summer fast approaching now is the time to grab some open top motoring at a very reasonable price. 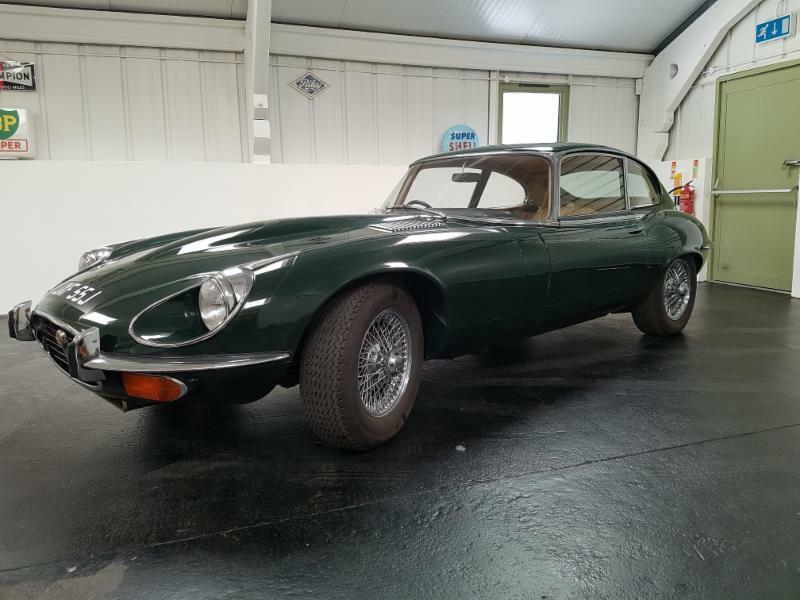 An immaculate example of a Jaguar E-Type Series 3 Coupe. The car was subjected to a full body restoration in the early 80s and has been used sparingly since that time with less than 20,000 miles being completed over the last 34 years. This S Type has just arrived after spending several years in Holland. The car is an older restoration having been rebuilt in 1994. The restoration is fully documented in Jaguar World magazine which we have copies of. 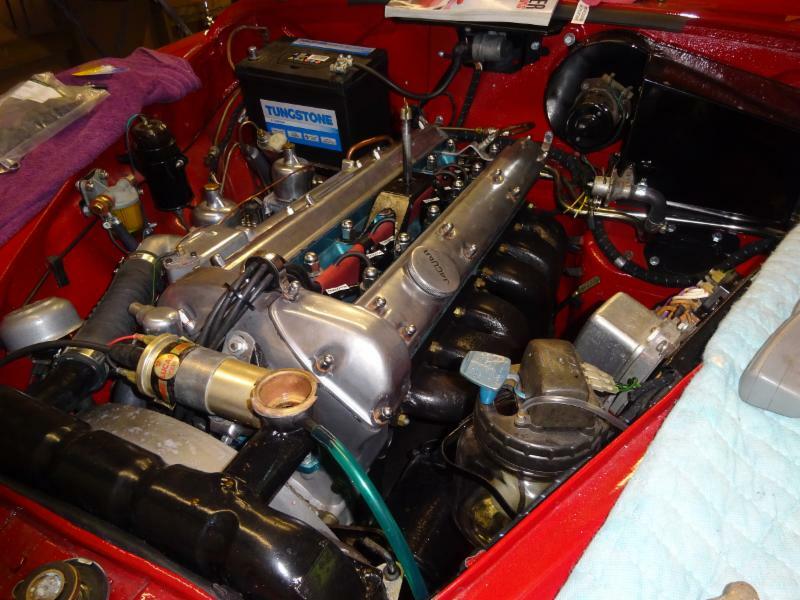 The restoration was a complete rebuild including the engine and bodywork. 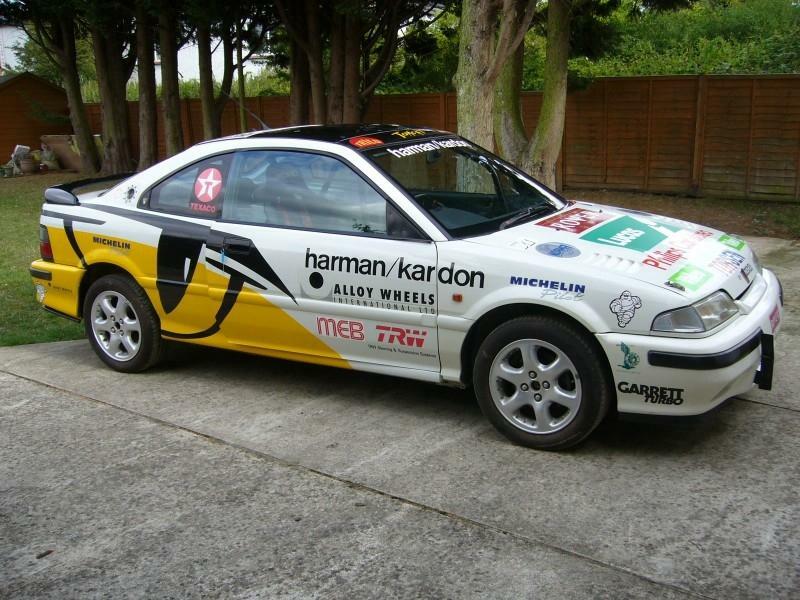 Although it was carried out in 1994, the car today still looks incredibly fresh as you will see from the photographs. The paint was clearly done to a very high standard generating a superb mirror finish in the dark blue paintwork. The interior was also replaced where necessary and looks like new as does the headlining. The interior woods has a superb finish and is as good as it gets. The chrome work is also in excellent condition all around the car. The engine starts on the button and sounds exceptionally good. The car runs cleanly and moves through the gears without issue. 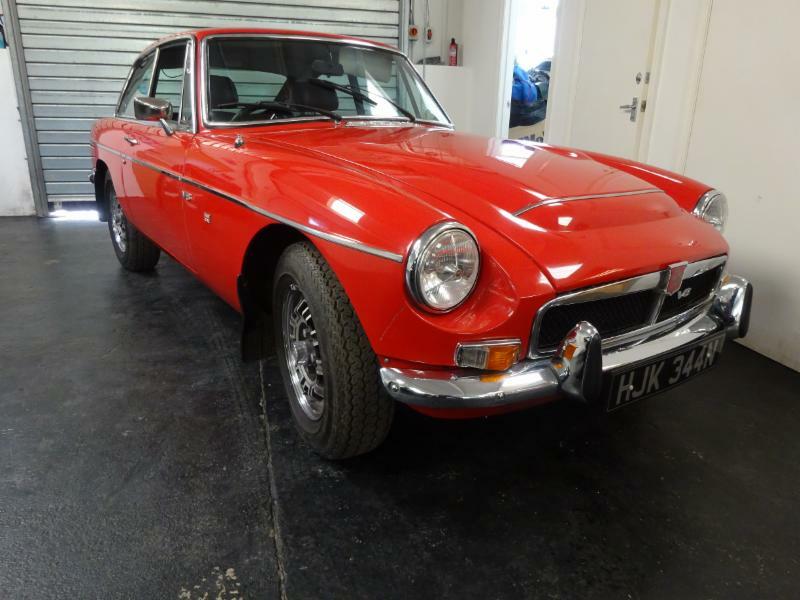 This is a 3.4 manual with overdrive and is therefore one of the more sought after variants. The history file contains lots of Jaguar World magazines which fully document the restoration of the car. The file also includes an original green log book along with miscellaneous invoices and a workshop manual. Overall as the photographs will demonstrate this is an exceptionally nice looking car. We are currently awaiting UK registration documents which should arrive shortly. The car will also be sold with a fresh 12 months of MOT. Available for viewing now This Rover 220 Turbo Tom Cat is rather special and is one of two pre-production cars that Rover built especially to break a number of speed and endurance records in 1992. This was the most powerful production car built by Rover capable of 150 mph and 0-60 in just 6.2 seconds. In the summer of 1992 two pre-production cars were stripped back to a bare shell by the Rover development team, checked and rebuilt with various modifications including a roll cage, large capacity fuel tank, racing seat and various safety devices in readiness for the speed records on the 29th August 1992 at the Millbrook test track in Bedfordshire. The entire team working on the car had also been involved with the development of the production model. The speed and endurance records they broke were previously held by Porsche, BMW and Bentley and Alfa Romeo. These cars were set up to run at a top speed of just under 160mph. Six speed records were broken and ratified by the RAC ranging from an average speed over 10 miles of 155.53 mph to averaging 138.43 mph over 25 hours. Some of this was done in conditions of poor visibilty which can be seen in the video of the event which can be viewed below. The only mileage that the car is believed to have done was on the testing grounds when it achieved the record and this amounts to approximately 7,000 miles. This is all documented on a video taken of the team and cars in action during the record attempt. 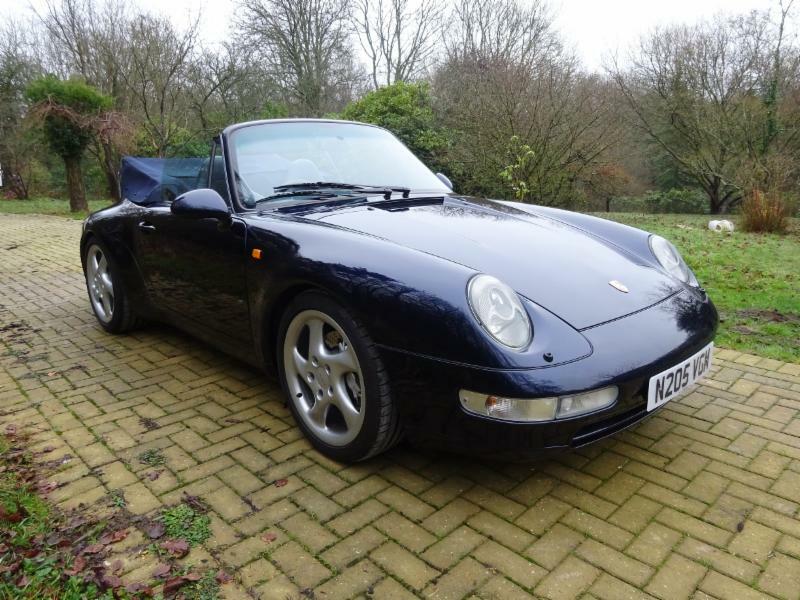 This 1996 Porsche 911 993 Cabriolet is a rare Carrera 4 varioram which comes with a relatively low mileage of just 73,619 miles. Most importantly the car has a full service history which spans two service books. The history of the car has been fully documented and all work during its life is contained within the file. 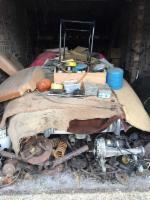 This car has been very well cared for and any work needed has been carried out. 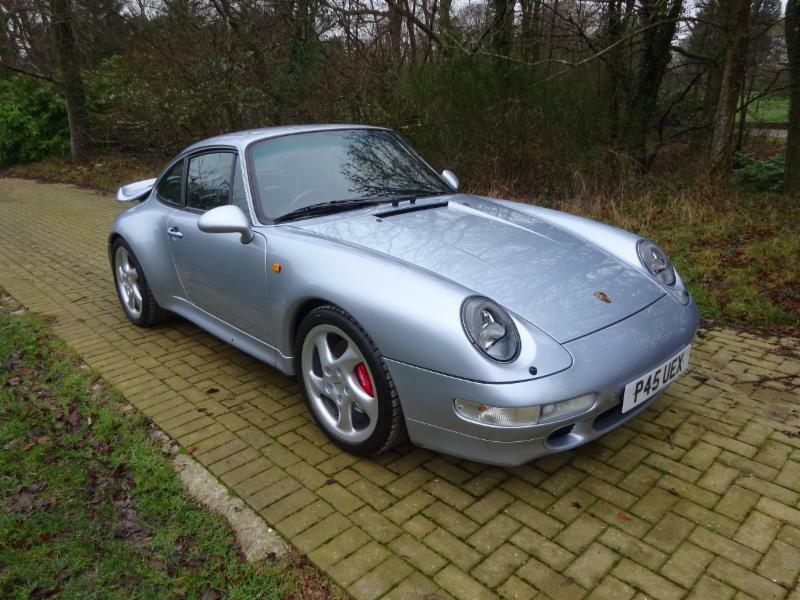 The Porsche 993 was the last of the air cooled 911 cars and if you are seeking the best of the series it has to be the Turbo. With 408bhp from its 3.6 litre, twin turbo engine, these cars are capable of standstill to 62 mph in just 4.5 seconds with a maximum speed of 180mph. Even the modern 911 cars can only surpass those numbers by modest amounts. 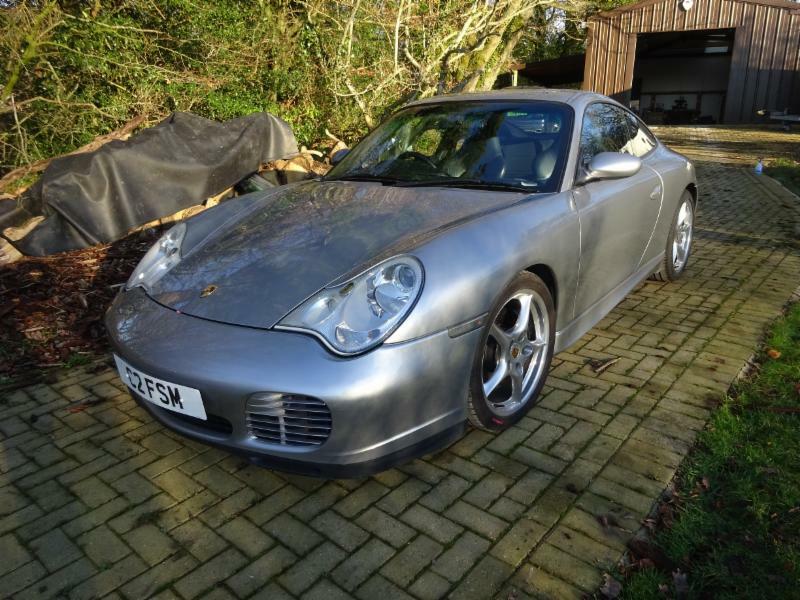 This 1996 993 Turbo started life in Belfast and has a relatively low mileage of just over 57,000 miles. Most importantly this is documented with a fully stamped up service book, the details of which we have listed below. The last service was undertaken in August 2018. This particular car which is in silver with black leather has been extremely well looked after and is in close to showroom condition. 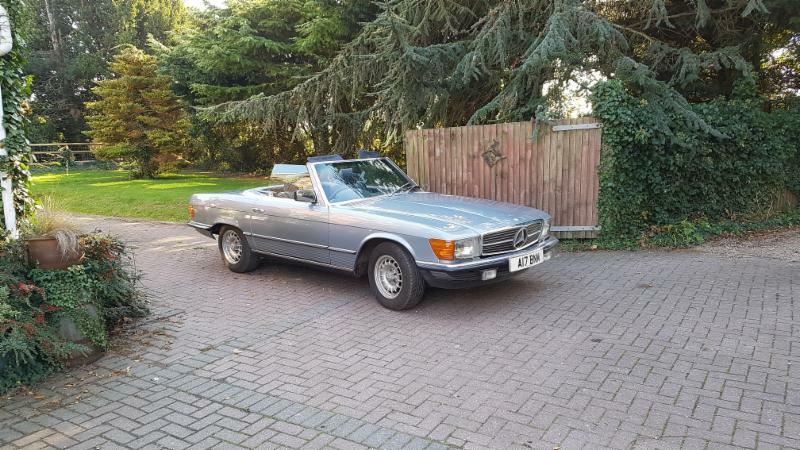 It is not often you come across a Mercedes SL500 with just 25,000 miles on the clock, but here we have exactly that and if you want a low mileage example that is in pristine condition you are going to struggle to find a better example than this one. 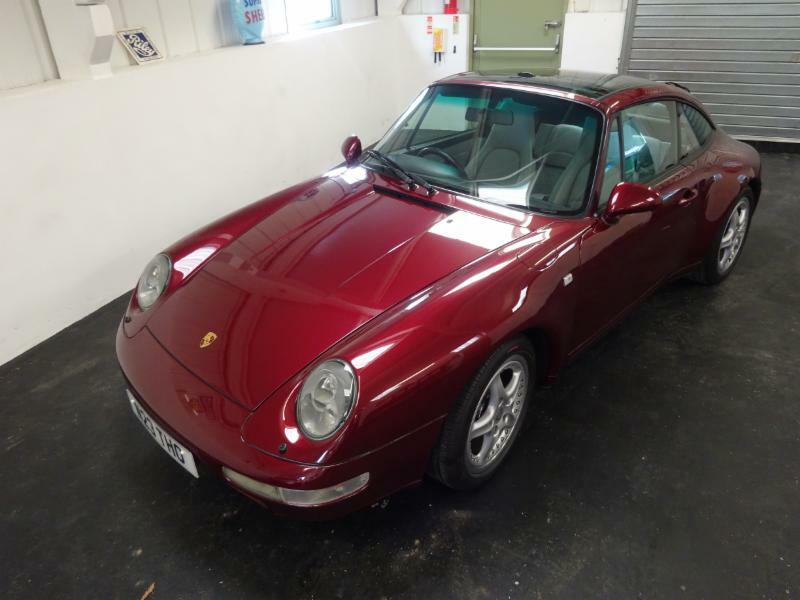 1996 Porsche 911 993 Varioram Targa - 48,751 miles - Manual Low mileage Porsche 993 cars are becoming increasingly hard to come across, but we have one such example in stock now which is a 993 Targa Varioram model with a fully stamped up service book. The condition of the car is commensurate with its low mileage and the interior especially looks almost showroom fresh. The Arena Red paint is in superb condition and the grey leather interior as you will see from the photographs is virtually unmarked. This car has the attraction of having a manual gearbox. 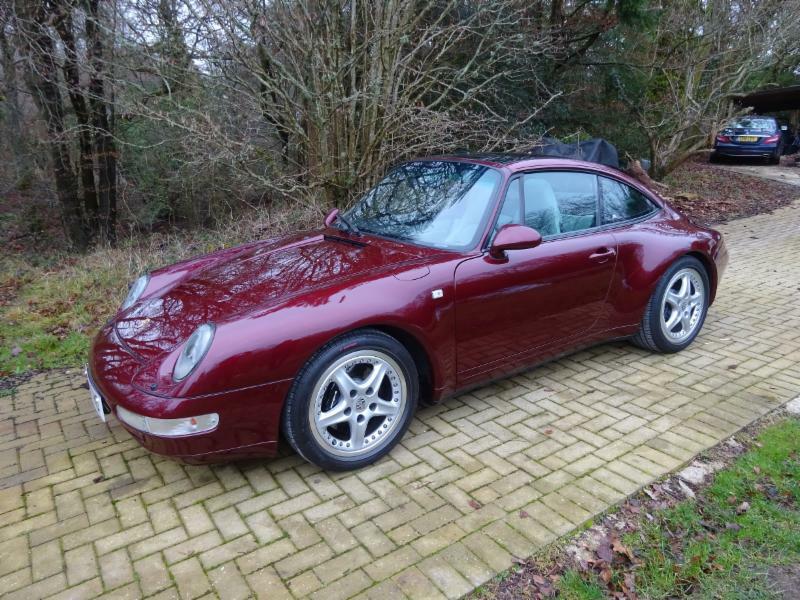 This is a very special Porsche 911 964 C2 Coupe which comes with impeccable provenance and is in a condition which you will struggle to better. The car has the fullest service history you are going to get for what is a relatively low mileage car at just 72,019 miles. The service history actually spans two stamped up Guarantee and Maintenance books, the details of which we have listed below to demonstrate how well the car has been looked after. All of the service work apart from two have been carried out by a Porsche dealer and the two exceptions were by a Porsche specialist. This is only a two owner car and amazingly the first owner has logged every time the car was filled up with petrol, including the name of the petrol station and the location. This was done up until 71,413 miles! Quite a history to say the least. If you are seeking some summer fun, this car is for you. This little Mini 1000 was professionally converted to a soft top giving you all the fun that a Mini provides with the added bonus of being able to take advantage of the sunshine when it arrives. The car presents extremely well with lovely clean yellow paintwork along with an excellent interior which is free of any real wear, rips or tears. 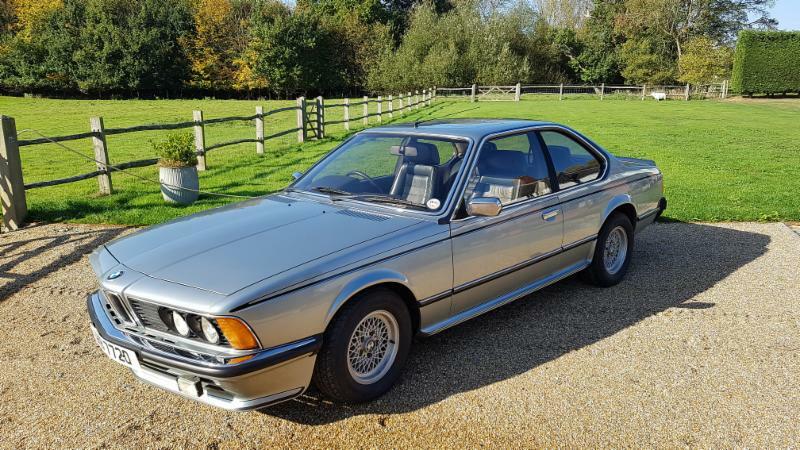 Judging by the history file and the MOT history, the current mileage of just 38,540 miles would appear to be genuine which accounts for the car's great condition. The car starts on the button and runs well and cleanly. The last MOT was advisory free. The history file contains miscellaneous invoices including the conversion. There is also a written notebook of work that has been carried out over the years. The original sale invoice for the car is also present along with the service book and a number of MOT certificates dating back to 1996. The car has only recently been serviced. More recent work includes a new steering rack, new driveshaft oil seals, gearbox rubber mount, and sports coil. This 1980 Mercedes 280SL is in a colour combination which has to be one of the best for these cars. The blue check cloth interior in this car still looks very fresh indeed with no wear showing which is unusual and shows it has clearly been well cared for. The body of the car is good with a few blemishes and a couple of areas of minor bubbling which should be easy to address. Overall though as the pictures will show this car presents very well indeed. In the past the car has had work done to address the various issues which a car of this age will show and the last MOT test was free of any advisories. The last service was carried out at 114,420 miles and the car now shows a mileage of 118,000. The soft top appears to be very new. The car starts on the button and runs well and the auto gearbox moves through the gears as it should. The history files contains invoices relating to recent service history along with other miscellaneous invoices. With prices of all the R107 models still on an upward march this car represents excellent value for money in our view. 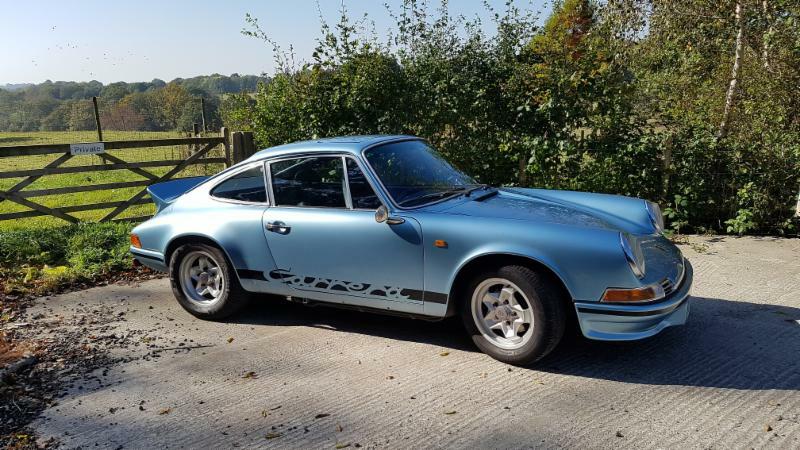 This RS recreation started life as a 1980 911 SC and has clearly had a significant amount of money spent on recreating the period look of the 2.7 RS car from the early 70s. The car has period correct panel work and the light blue paintwork is probably one of the best colours you are going to find on a 911. The car has clearly been very well cared for with regular service history and money has been spent whenever it has needed it. The most recent work includes a full gearbox rebuild and a new clutch earlier this year at a cost of over £4,000. The last full service undertaken at 107,045 miles (now just over 109,000) and a further oil change was carried out earlier this year when the gearbox was rebuilt. A new oil cooler has also been fitted recently along with a new starter motor.. The car has its original interior which is showing the usual age related marks, and the car also has a working sunroof. The bodywork is in exceptionally nice condition and the paint finish is to a high standard. The car starts on the turn of the key and runs cleanly and pulls well with a smooth gear change as you would expect of a 911. There is a thick history file which dates back to the 80s plus a stamped up maintenance book. If you are seeking the RS look at a fraction of the price this car certainly ticks the boxes. A small sample of our cars for sale. Please view our showroom page to see all our current stock. If you can't find what you are looking for, feel free to call us as we may be able to help you in your search for a Classic Car. 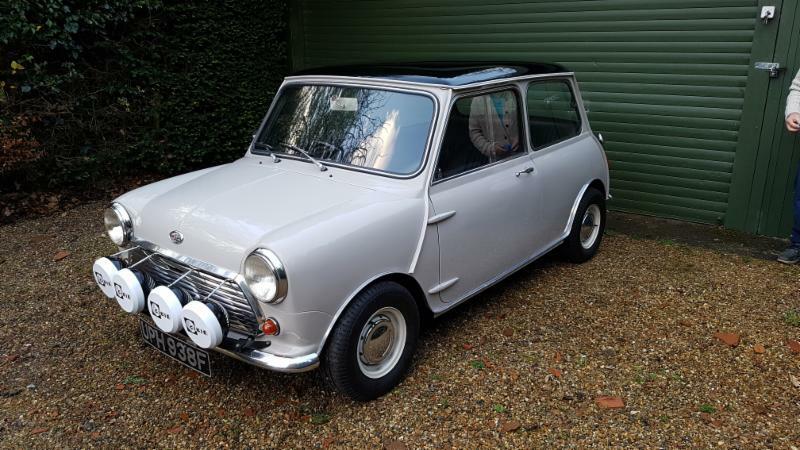 This is probably one of the best Morris Mini Cooper S cars that you are going to find on the market today. The car is finished in its original colour of Sandy Beige with a black roof and black interior. The engine has been rebuilt with a ported and polished head, special camshaft, dished pistons and twin 1.5 inch SU carbs making for a very lively performance. The car also has the additional dashboard which was an optional extra incorporating a rev counter and ammeter. With just 5 owners from new this car oozes character and investment potential. The paint finish is superb as is the panel fit with nicely fitting doors. 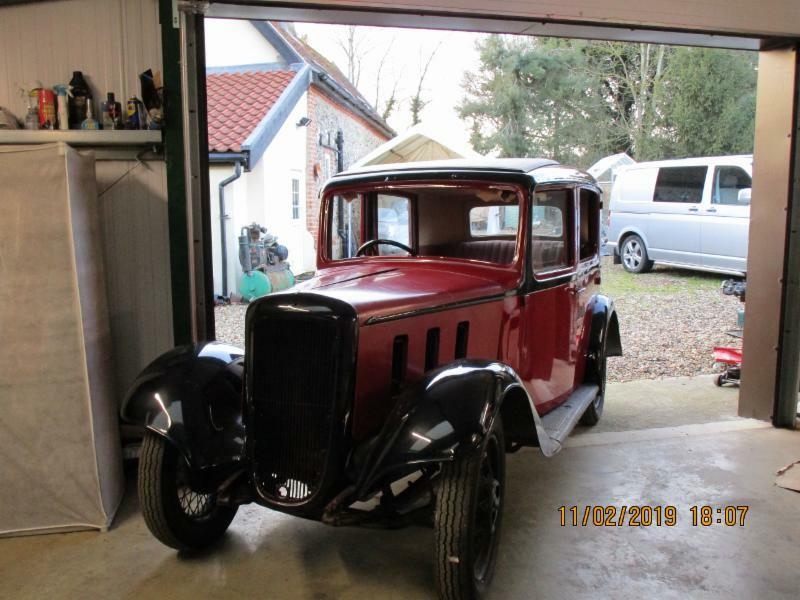 The history file contains the heritage certificate along with old MOTs and other miscellaneous invoices including a hand written diary of work that has been carried out on the car. The car has only recently been serviced plus the renewal of all hoses, a new brake servo, and new plugs. You will struggle to find a better example. If you want to be first to receive our stock updates then let us know your name and email address and we will email you when we get new cars in. Looking for something particular? Let us know in the Other information field. Do you have a classic car to sell? We are always seeking more classic cars of any make and model. If you have a classic car you wish to sell please contact us using the form below. We can either buy your car or sell it on your behalf. 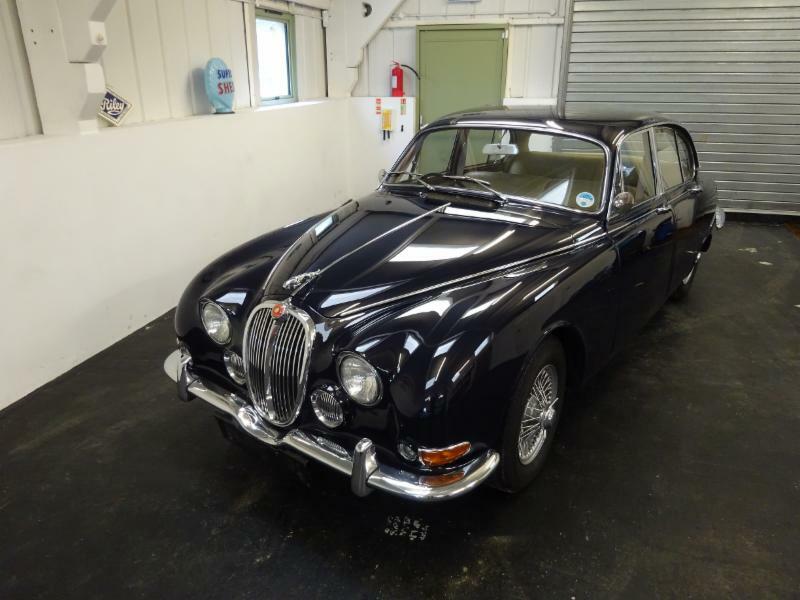 Find out more about selling your classic car with Castle Classic Cars. About Castle Classic Cars Castle Classic Cars is a family business. We love great cars! We search high and low to find the best cars. Our cars are always fine examples of the marque and model that they represent.